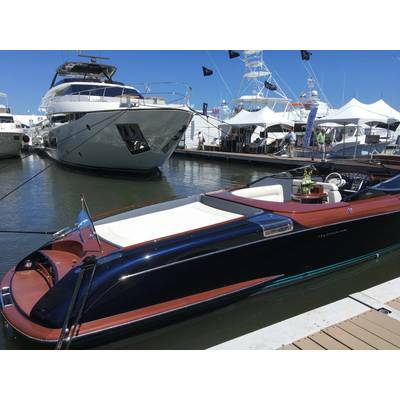 The 34th annual Palm Beach International Boat Show, March 28 - 31, 2019, is one of the top five boat shows in the country. Situated on Flagler Drive in downtown West Palm Beach, directly across the Intracoastal Waterway from Palm Beach Island, this is the last major international show of the season, attended by serious shoppers and key brokers and builders ready to make deals. 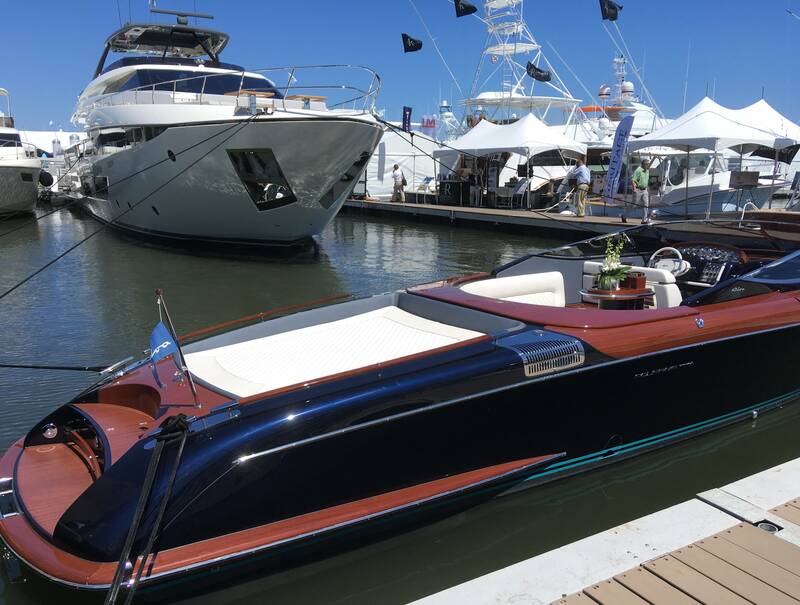 With beautiful spring weather, Palm Beach is fast becoming everyone’s favorite, must-attend event, with some opting to skip the two February boats shows in Miami this year. 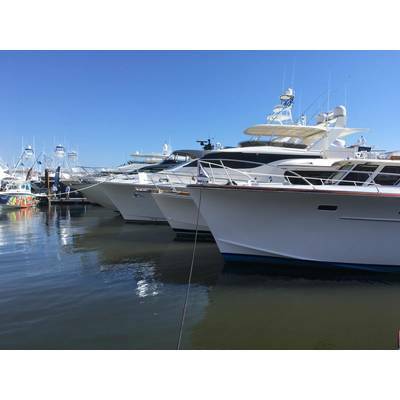 Adjacent to POTUS’ Mar-a-lago and one of the world’s most affluent zip codes, Palm Beach Boat Show is known to attract high-level boat buyers and charter clients. 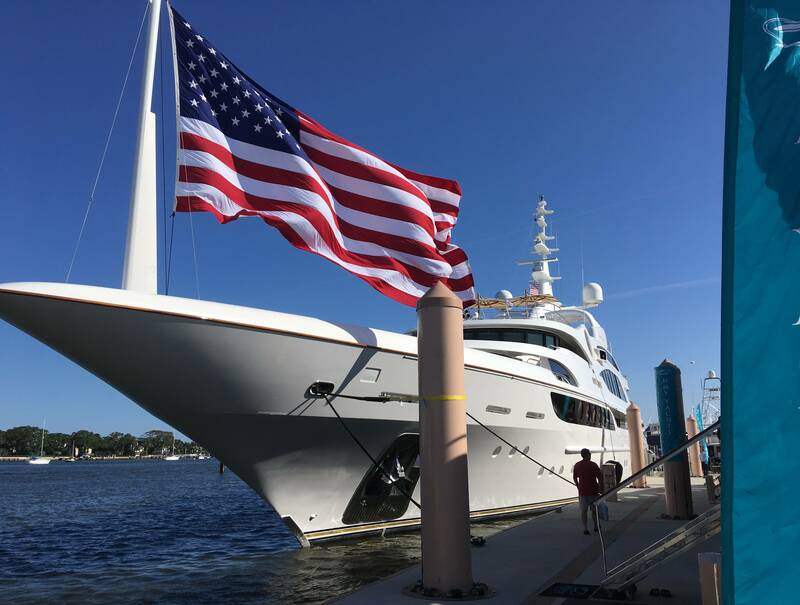 Many of the world’s most renowned shipyards esteem Palm Beach Show as the perfect platform for conducting business with the global elite. 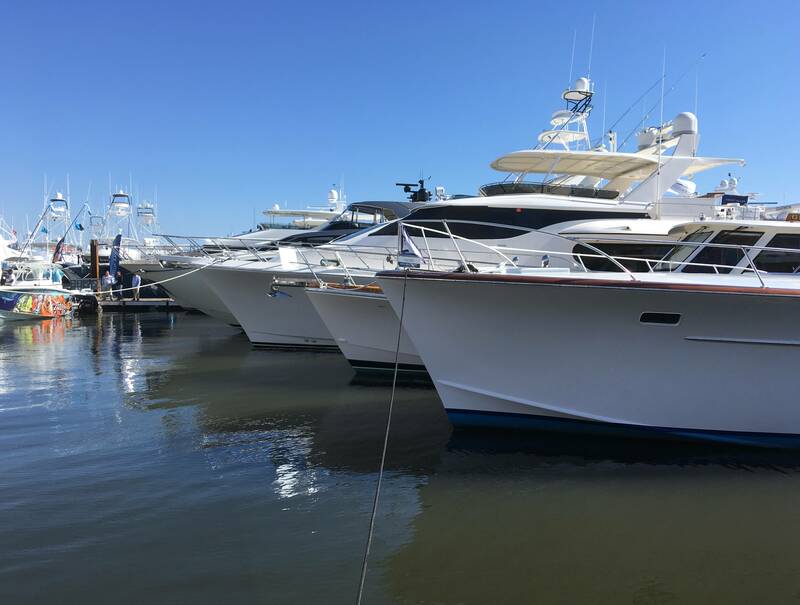 With easy parking and short walks, one can navigate Palm Beach Boat Show within an entire day, mingling while enjoying the world’s best pleasure craft at a comfortable pace with no commutes off site. 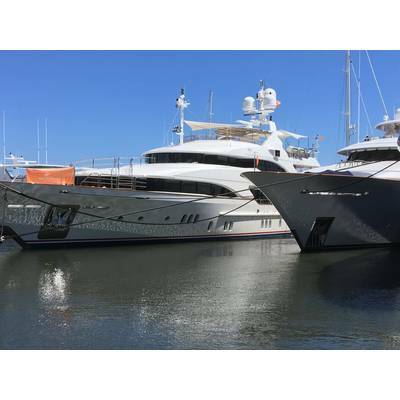 Long considered a show dominated by impressive sport fishers with Rybovich in the neighborhood, Palm Beach now features over $1.2 billion worth of yachts and accessories. From 8-foot inflatables to superyachts nearly 300 feet in length, this years's show features almost 20 vessels over 150-feet like 238-foot Coral Ocean by Lurssen, 190-foot Skyfall by Trinity and 188-foot Minderella by Feadship. 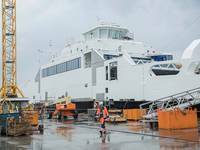 In addition to the large selection of big brokerage boats, builders from Turkey and South Korea scheduled press events, including Vicem and Numarine from Turkey and Project Phoenix Series spec build from Lazzara Ombres Architects at GHI Shipyard in South Korea. 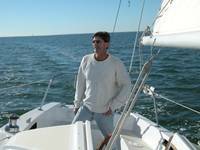 Palm Beach Boat Show is known for fun parties and boat show bashes by Rybovich, which celebrates its 100th anniversary and legacy in sport fishing with an evening event. Fun, educational activities are free to the public, including youth fishing clinics by Hook The Future and IGFA School of Sportfishing seminars. The show provides live music and refreshments at floating cocktail lounges where guests are can arrive by boat, tying up to free docks located south of the in-water displays. The Windward VIP Experience includes admission to the show and a VIP lounge featuring a premium open bar, hors d'oeuvres, concierge service and indoor and outdoor lounge seating. 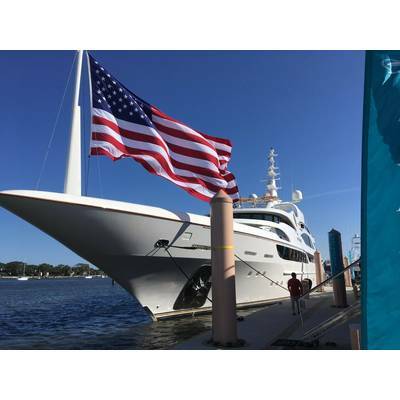 The 2018 Palm Beach International Boat Show is owned and presented by the Marine Industries Association of Palm Beach County, Inc. (MIAPBC) and managed and produced by Informa.